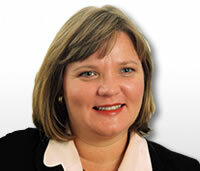 Christine Petersen has over 20 years of multinational company experience. She has worked for many years as Project Manager in large international systems implementations around Europe, and is based in Switzerland. She speaks Danish, English, French, Italian and German fluently, and has been training in these languages since 1999. Her experience as a Project Manager led her to understand the vital importance of people management skills as well as having clear processes and methodologies. Christine founded her company, VIRAK, in 2001 in order to be able to train, coach and consult full-time and has since built up a client base throughout Europe.